According to Action on Smoking Health (ASH), 10 million adults in the UK smoke. Amazingly, this equates to around one sixth of the total population. And surveys reveal that around two-thirds of those current smokers would like to quit. For those concerned about the cancer-causing effects of tobacco smoke, e-cigarettes that provide a healthier alternative to smoking are becoming ever more attractive. However, for some, there remains doubt over whether these devices are truly safe. Here we address some of those concerns in a bid to examine the truth about electronic cigarette safety. In order to truly examine their safety, first, we all need to understand exactly what e-cigs are. Electronic cigarettes generally seek to imitate the look of traditional cigarettes. They consist of a battery and a cartridge that contains an atomiser and an e-liquid solution that contains nicotine. When someone inhales from an electronic cigarette, the atomiser heats the e-liquid solution, which then turns it into a fine mist or vapour. The vapour is then inhaled into the user’s mouth and lungs, and the liquid nicotine therein is absorbed into the user’s bloodstream. This process is commonly known as ‘vaping’. So, is vaping safer than traditional cigarettes? Nicotine is highly addictive, and it is this substance that keeps smokers hooked to traditional cigarettes. 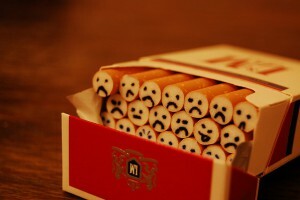 However, nicotine does not kill. It is actually the toxic cocktail of chemicals that are created when tobacco burns that are responsible for ending the life of two out of every three smokers early. Therefore, the lack of tobacco found in e-cigarettes has led many health professionals to conclude that e-cigs are a much healthier way of enjoying a nicotine hit. What do these health professionals say? What about the negative reports about e-cigs in the newspapers and other media? It’s true that in recent months there have been numerous stories in the press suggesting that some e-cigarettes could release more cancer-causing chemicals than traditional cigarettes. One of the most frequently cited pieces of research in such articles was published by The New England Journal of Medicine and is entitled Hidden Formaldehyde in E-Cigarette Aerosols. This piece of research was used as the basis for a widely publicised article in the Daily Mail that stated that daily use of e-cigarettes could release more formaldehyde than smoking 20 cigarettes. On closer inspection, however, the headlines might not be as newsworthy as they make out. For one, the study used a machine to run an e-cigarette battery at different voltages and to create varying levels of vapour. 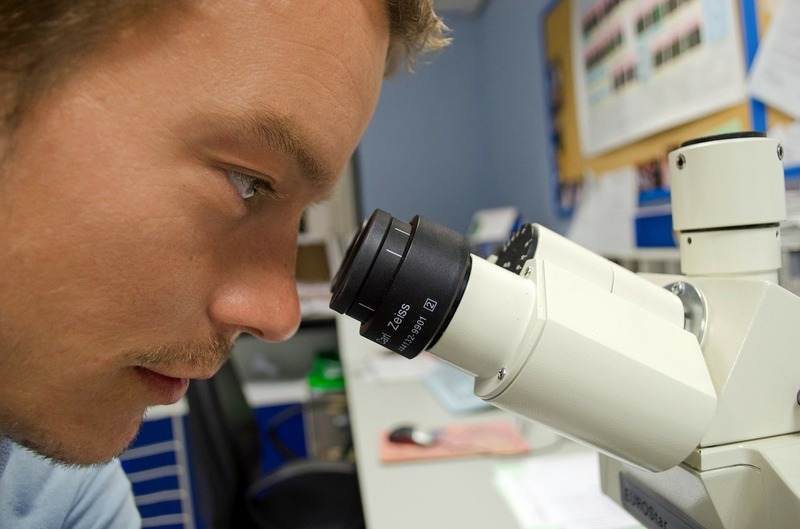 When the e-cigarette in the study was run at the highest voltage, it did create formaldehyde. However, when it was tested at a lower voltage – akin to that used by most human vapers – no formaldehyde was actually found. 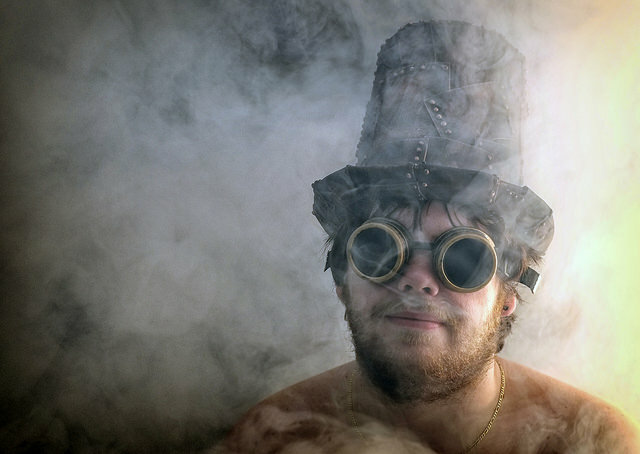 Second, the research was created by using one type of ‘tank-style’ e-cigarette. Therefore, the test was not representative of the entire and extensive range of e-cigs that actually exist on the market. As an electronic cigarette vendor, you would say that, wouldn’t you? As a company in the business of selling electronic cigarettes, you are right to think that we have something to gain by suggesting that negative headlines about e-cigs are in some way misleading. However, we’re not the only ones to have come to the same conclusion. In fact, Cancer Research UK has also gone on record to suggest exactly the same thing. Plus, this article published by Wired highlights the fact that this research didn’t take into account actual vaping habits – but it was nonetheless reported widely in the media as a new health hazard for e-cig smokers. Are there any harmful chemicals in electronic cigarettes? As previously mentioned, there have been numerous studies that have found some e-cigarettes to contain harmful chemical such as formaldehyde, as well as acetaldehyde and acrolein. Yet a recent study by Dr. Konstantinos Farsalinos, a renowned cardiologist and leading e-cigarette and vaping researcher, suggests that these chemicals are all found at much higher levels in traditional cigarettes. In fact, the research states that the level of these chemicals found in e-cigs is 30 to 250 times lower than tobacco cigarette smoke. For this reason, Dr. Konstantinos Farsalinos suggests that vaping is 95% safer than smoking traditional cigarettes. That said, the lack of regulation around electronic cigarettes means that companies don’t have to reveal what they put in their e-liquids. 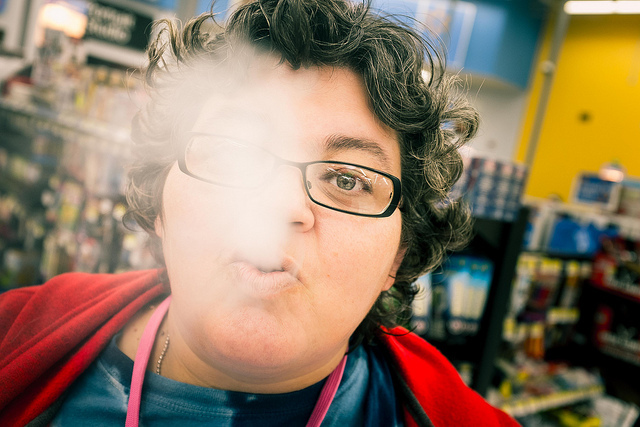 For this reason, you should always look to buy e-cigarettes from a reputable vendor. Over the past two years, there have been around 100 fires reported because of exploding e-cigarette chargers. This, of course, has generated some concern. In most cases though, fire chiefs report that such fires are caused by people using the wrong chargers for their devices. It’s simple: if you use a charger that is not compatible with your electronic cigarette, and too much electrical current is supplied to the battery, your device could overheat and explode. Therefore you should only charge your electronic cigarette with the charger provided. In addition, you should always be careful not to overcharge the battery, which can also cause it to overheat and sometimes explode. Are electronic cigarettes safer in terms of passive smoking? 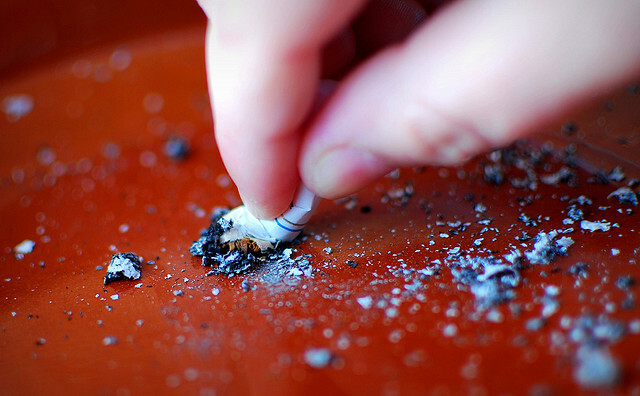 The effects of passive smoking in relation to traditional cigarettes is well publicised, and it’s the main reason the smoking ban was introduced throughout the UK in 2007. But is there such a thing as a passive vaping? In a bid to answer this very question, several scientific studies have been conducted. For example, research published in Inhalation Toxicology, which is a peer reviewed medical journal that concentrates on respiratory research, compared the pollutants created by traditional cigarettes and e-cigs. The results for exhaled cigarette tobacco were predictable in that it was deemed to pose a significant risk to health. On the other hand, exhaled vapour from electronic cigarettes was found to produce very little exposure to harmful chemicals. Are you ready to join the vaping revolution? So vaping is better for you than smoking, and it’s better for the people that are around you too. As one of the oldest electronic cigarette companies in the UK, our aim is to help make your switch from smoking to using e-cigs as simple as possible. Okay, so you’ve taken the plunge and decided to switch to e-cigs. However, you’re worried that the process of using and maintaining your new electronic cigarette might be too complex. At Electronic Cigarette Info, we understand this concern, which is why we sell the iCig – one of the easiest to use electronic cigarettes on the market. To illustrate just how simple it is to use, here’s everything you need to need to know about getting to grips with our device for the first time. The iCig is a two-part part e-cig, consisting of a cartomiser and battery. Cartomisers are disposable cartridges that contain liquid nicotine and an in-built atomiser that produces the electronic cigarette’s vapour. Our Cartomisers are incredibly easy to use, simply twist it into your e-cigarette battery and you’re ready to go. Plus, because our cartomisers are prefilled with liquid nicotine, you don’t need to bother with messy fluids. For this reason, the iCig provides a simple plug-in-and-vape experience. If you notice that the quality of your vapour starts to diminish, even when your battery is full, you might need to change your cartomiser. To do this, simply unscrew your spent cartomiser and then screw in a fresh one in its place – it’s that simple. Ideally, before using your e-cig for the first time, you should charge its battery. It might arrive with a small amount of power – however, giving the device a full charge out of the box will help condition the battery for long-term use. To charge your e-cigarette, you will need to unscrew the battery from the cartomiser. Then simply screw the battery into the USB charger provided and plug it in. We supply USB chargers as they universally fit into laptops, TVs and other electrical devices, so you’ll never run out of charge when you need it the most. The iCig’s USB charger includes a small light, which flashes red and blue when it’s charging. Once the light turns a solid blue, your electronic cigarette is fully charged. When drawing on your electronic cigarette, think slow and steady and let the vapour fill your mouth. Unlike traditional cigarettes, nicotine from e-cig vapour can be absorbed via the mucus membranes in the mouth and nose, as well as the lungs. Hold the vapour in your mouth for 3-5 seconds. You can then choose to inhale the vapour into your lungs or exhale through your mouth or nose. While the nicotine ‘hit’ experienced smoking a traditional cigarette takes around eight seconds to come into effect, it can take a little longer for an e-cigarette. Because nicotine absorption with an e-cigarette is achieved via the mucus membrane, it can take up to 30 seconds to feel a similar effect. For this reason, you will need to wait longer between taking draws from an e-cig than you would when using a traditional cigarette. 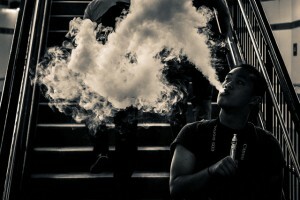 You should look to avoid chain vaping, as e-cigs are not designed to be used in this way. After around five draws in quick succession, you should allow at least a couple of minutes for cooling, as you don’t want your electronic cigarette to overheat. In addition, chain vaping can cause a sore throat and a dulling of your taste buds, called ‘Vaper’s Tongue’. To make the switch from traditional cigarettes to e-cigs as simple as possible, our electronic starter kits include everything you need to start vaping right away. However, if you need more information before joining the vaping revolution, you can refer to our guide: Everything a Beginner Needs to Know about Electronic Cigarettes. The answer is a lot. With perpetually rising taxation, smoking is only going to become an ever-more pricey habit. And, when you consider that tobacco kills two in three smokers, it seems even more foolish to continue spending so much money on something that could end your life early. With those thoughts in mind, here’s an overview of how much money you could save by switching to electronic cigarettes, while enjoying a healthier hit of nicotine. At first glance, in comparison to buying your favourite packet of fags, purchasing an electronic cigarette starter kit may seem expensive. Yet on closer inspection, there are still considerable short-term savings to be made by making switch. According to The Telegraph, in the UK, the average price of a packet of cigarettes across the most popular brands is now £7.98. Think about how much money you spend on cigarettes per week. Even if you smoke less than 10 cigarettes a day, over the course of seven days, the number of pounds will soon build up. Our cheapest electronic cigarette kit costs £13.99, but it includes three refill cartridges that collectively contain the equivalent amount of nicotine found in 100 traditional cigarettes. In comparison, if you take £7.98 as the cost of 20 cigarettes, it’ll cost you just under £40 to buy 100 traditional cigarettes that contain the same amount of nicotine. Therefore, you can make a considerable instant saving by making the switch to e-cigs. But, if you can make the transition stick, the savings can become even greater over time. We sell refill cartridges in packets of 10, 50 and 100 – and the savings per cartridge when buying in this quantity is significant. For this reason, if you can make the transition from traditional cigarettes to e-cigs stick, you can enjoy even bigger savings by buying refill cartridges in bulk. For example, a packet of 100 refill cartridges costs £114.99. Each cartridge contains the nicotine equivalent of 20 cigarettes. This means that you effectively pay just under £1.15 for each cartridge and the equivalent amount of nicotine found in one packet of cigarettes. When you compare this to the average price of £7.98 for a packet of cigarettes, the difference is massive. Now, consider how much money you could save on cigarettes over the course of a year by making the switch to e-cigs. 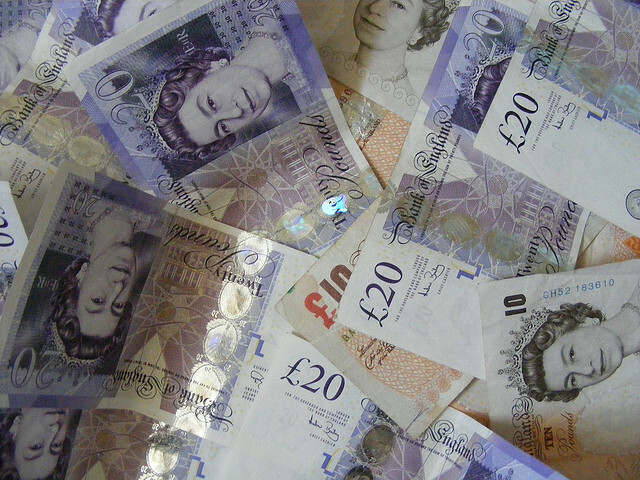 The sum will be massive, so if you’re struggling to do the maths, you can use the ‘How Much Will I Save?’ calculator on the left-hand side of the Electroniccigaretteinfo.co.uk homepage. When you light a traditional cigarette, you are committed to smoking the entire thing, when really you might only want a couple of drags. However, with electronic cigarettes, you can take the exact amount of drags you desire at any time. For this reason, many of our customers have revealed that they have successfully reduced their usage, which, of course, can help you save money in the long-term. As discussed, tobacco kills two in three smokers. If you are unfortunate enough to get terminally ill, you could have to pay expensive medical bills. However, because e-cigs provide a healthier hit of nicotine, they can reduce your chance of becoming ill.
E-cigarettes can also help you to make a series of smaller savings you might not have considered. For example, you will no longer need to purchase lighters and ashtrays, or gum and perfume/aftershave to cover up the smell of stale smoke. Everyone enjoys saving money, but doing so while switching to a healthier alternative to smoking tobacco is even more pleasurable. This is why millions of smokers across the world have already made the switch electronic cigarettes. Our aim is to make your switch from traditional cigarettes to e-cigs as simple as possible. Therefore, our electronic cigarette starter kits are designed to be incredibly easy to use and include everything you’ll need to join the vaping revolution today. An electronic cigarette – otherwise known as an e-cig or e-cigarette – is a battery-powered, electronic nicotine delivery system that is designed to imitate conventional smoking. The device contains a nicotine-based liquid – or e-liquid – that is vaporised and then inhaled. Although electronic cigarettes have a variety of appearances, many look and are shaped like traditional cigarettes. When the user inhales on the mouthpiece of an electronic cigarette, the device’s battery activates an atomiser that heats up a replaceable cartridge filled with e-liquid. This turns the e-liquid into a vapour, which then passes through the device into the user’s mouth and lungs. Using an e-cigarette in this manner is called ‘vaping’. Many studies have suggested that e-cigs are far healthier than smoking traditional cigarettes. This is because most of the health problems associated with smoking are linked to the thousands of harmful chemicals which are created when tobacco burns – not nicotine, which is a relatively harmless stimulant. Can you use electronic cigarettes in public places? 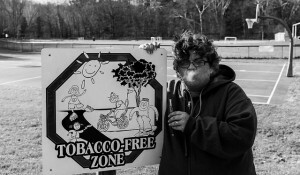 At present, it is legal to smoke electronic cigarettes in public places. However, some privately owned establishments, such as restaurants, have decided to ban e-cigs from their premises. In addition, some companies such as airlines have also banned their use on flights. 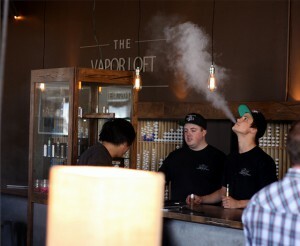 Nonetheless, you can smoke electronic cigarettes in most public places. How does an electronic cigarette compare to traditional cigarettes? The first thing you may notice when picking up an electronic cigarette is the difference in weight. Electronic cigarettes weigh a little more than traditional cigarettes, so it may take some time to get used to holding one regularly. Secondly, in terms of taste, you can buy e-liquid cartridges that deliver vapour in a variety of flavours. For example, you can buy electronic cigarette flavours that mimic the taste of traditional cigarettes. However, there are also flavours such as apple, cherry and vanilla available. The third comparable difference is throat hit. Like traditional cigarettes, the throat hit from an electronic cigarette differs by brand. Nevertheless, you may need to take a longer and deeper drag on your electronic cigarette to get a comparable nicotine hit. E-liquid from most reputable electronic cigarette brands consists of propylene glycol or vegetable glycerin, plus food ingredients approved by the FSA to create the flavours. Propylene glycol is an organic, clear, odourless liquid, which contains acetone and chloroform. However in small doses – like taking a draw on an e-cig – the toxicity of propylene glycol is very low. What makes electronic cigarette vapour different to cigarette smoke? The first and biggest difference is that electronic cigarettes do not contain tobacco. As previously mentioned, electronic cigarettes actually contain liquid nicotine. Conventional cigarettes also contain many harmful chemicals and additives to make the smoke taste a certain way – which electronic cigarettes do not. Is second-hand vapour from electronic cigarettes bad for you? 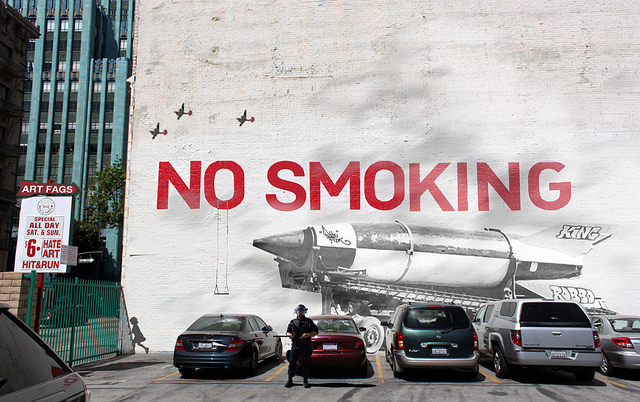 Electronic cigarettes do not burn and emit smoke into the atmosphere like conventional cigarettes do. However, potential bystanders are still exposed to vapour exhaled by an electronic cigarette user. There have been numerous studies into the toxicity of chemicals that electronic cigarettes produce. Many studies suggest that the level of toxins released into the air by electronic cigarettes is far less than with conventional cigarettes. This includes research by the University of Southern California which suggests e-cig vapour contains 10 times fewer carcinogenic materials than traditional cigarettes. Can electronic cigarettes help you stop smoking? At present, electronic cigarettes cannot be marketed as an aid to help people quit smoking. This is because no electronic cigarette manufacturer has yet been able to create a cigarette that meets the strict medical criteria for them to do so. E-Cigarettes and Smoking Cessation: Evidence from a Systematic Review – research from Australian Catholic University and the University of Melbourne that suggests e-cigarettes can help with smoking reduction. Electronic Cigarettes Are Effective for Smoking Cessation: Evidence From a Systematic Review and Meta-analysis – A systematic review of six studies involving a total of 1,242 participants suggests electronic cigarettes are effective for smoking cessation. Effectiveness of the Electronic Cigarette – A small study that suggests second-generation e-cigs are an effective aid for reducing cigarette cravings. How many people use electronic cigarettes in the UK? According to Action on Smoking Health (ASH), who conducted a study into usage, 2.6 million UK adults use electronic cigarettes. During the same study, ASH discovered that the most popular reason why people start using electronic cigarettes was to help them stop smoking. What can you expect when transitioning from traditional cigarettes to e-cigs? Although every smoker is different, you may still crave traditional cigarettes for the first week or so after making the switch. This is because it’s normal for you to have some type of withdrawal from the level of nicotine and chemicals found in traditional cigarettes. In addition, although rare, some people are allergic to the propylene glycol found in many electronic cigarettes. To date, a growing body of evidence suggests that electronic cigarettes are far safer than traditional cigarettes. This includes a new study by Dr. Konstantinos E. Farsalinos, who analysed 21 e-liquid samples and concluded that they were much safer than cigarette tobacco. In addition, you can easily find out what chemicals and compounds are found in e-liquids by looking at the label. In comparison, because burning tobacco produces thousands of chemicals, it is impossible to identify every harmful element in a traditional cigarette. For this reason, perhaps the more accurate question should be: are e-cigs safer than traditional cigarettes? To which the answer is almost certainly, yes. What is the best way to start using electronic cigarettes? If you are new to e-cigs, electronic starter kits contain everything you’ll need. This includes an electronic cigarette, a charger, case and refills. Plus, if you want, you can choose different flavours, strengths and sizes to create a vaping experience that suits you. So, if you want to swap traditional cigarettes for a healthier hit of nicotine, grab an iCig Electronic Cigarette Starter Kit today. Everyone knows that smoking is bad for you – traditional cigarettes contain tar, nicotine, arsenic (which is poisonous), formaldehyde (which is used in embalming!) and a whole host of other chemicals that are very harmful to your body. Cigarette smoke also contains a lot of nasty chemicals, including carbon monoxide, which is also poisonous. All these dangerous chemicals can lead to a variety of illnesses and problems with your lungs, including emphysema and cancer. Electronic cigarettes on the other hand are much much better for you – and you still get a satisfying smoking experience. iCIG electronic cigarettes are completely safe to smoke. But how can they be better for your health? They’re still cigarettes aren’t they? Well not in the conventional sense – they are not like traditional cigarettes in that they do not contain any unnecessary chemicals. The focus is on a great taste and a great smoking experience, as well as reducing your cravings for traditional cigarettes. iCIG electronic cigarettes are made up of a battery and a cartomiser (combinigna cartridge and an atomiser in one), and the cartomiser produces a nicotine vapour when the electronic cigarette is turned on. This is what you breathe in the replicates real smoke. It satisfies your cravings and feels like the real thing – but it has none of the poisonous chemicals that are in traditional cigarettes. iCIG electronic cigarettes have over 95% less carcinogens (any substance associated with cancer risk) that regular cigarettes and will not make you ill. They will only provide you with a healthy and satisfying alternative to dangerous cigarettes! iCIG electronic cigarettes are made up of two parts: the battery and the cartomiser. The battery of course provides the power for the electronic cigarette and makes it work – all you have to do is charge it; but the cartomiser is what makes an iCIG electronic cigarette special. It is a combination of a cartridge and an atomiser, and it is the part of the electronic cigarette that produces the nicotine vapour that replicates the smoking experience. The reason cartomisers make iCIG electronic cigarettes so special is that iCIG is one of the only brands to use them and ours are the best on the market. Cartomisers are still quite a new thing, and are always being improved. The latest iCIG cartomisers provide an amazing flavour and satisfying smoking experience – so good you’ll never want to go back to traditional cigarettes. The cartomisers are also incredibly easy to use. Once the battery is charged, simply screw the cartomiser into it, turn the cigarette on, and you’re ready to go! Combining the cartridge and the atomiser into one means that iCIG cartomisers are extremely efficient and powerful. So easy to use and full of great flavour, iCIG cartomisers are the best cartomisers out there! You won’t regret choosing iCIG electronic cigarettes. If you’ve never used electronic cigarettes before they might seem a bit complicated and you probably want to learn more about them. Then you’ve come to the right place! As well as reading this blog and exploring the website, you can keep up to date with the our newsletter, which will tell you everything you need to know about iCIG electronic cigarettes. The newsletter will appear in your inbox every two weeks with all the latest information about iCIG including new products, new deals and exclusive discounts. You’ll hear about everything before everyone else! The newsletter also contains industry news and current discussion topics, and information about how electronic cigarettes are making an impact in the UK. iCIG electronic cigarettes are special in a lot of different ways, and it’s best to be well informed about them – not only are they much healthier than traditional cigarettes, but they are also a lot cheaper too and are guaranteed to save you thousands of pounds every year. With our newsletter you’ll be on top of all the best deals and discounts, and the first to hear about new products! All you need to do is click on the link on the left hand side of the website and sign up with your email address – it’s that simple. There are a lot of different iCIG electronic cigarette products, and now there is one more! 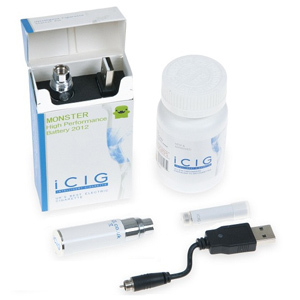 The new Mini Monster electronic cigarette kit from iCIG makes switching from traditional cigarettes even easier. It’s great value for money just like all iCIG products, and is also really easy to use. For just £25.99 you’ll get everything you need to get started. The Mini Monster kit is a super compact kit that has been developed following customer feedback. It is super easy to use and is compatible with all existing iCIG products. It is also much more powerful than any other electronic cigarette kit from iCIG – you can go for 2 – 3 days between charges! The kit contains cartomisers that are equivalent to smoking 200 traditional cigarettes – except with the Mini Monster kit you will get none of the harmful effects of traditional cigarettes. The nicotine vapour is completely harmless but you will still get the satisfying feeling as if you had smoked a regular cigarette. This electronic cigarette kit is al 75% cheaper than buying traditional cigarettes – what a saving! There are also a range of flavours to choose from, so you can tailor these electronic cigarettes to suit you. And you can charge the cigarettes via USB or in the car. How could you resist! Can I Really Save Money With Electronic Cigarettes? Any smoker will tell you that smoking is an expensive habit. According to Wiki Answers, up to $6000 can be spent by one person on smoking every year. That’s just under £4000! But, there is a solution. iCIG electronic cigarettes give you all the benefits of smoking regular cigarettes, but will save you a lot of money – around £2000 a year, depending on how much you smoke. Switching to iCIG electronic cigarettes could make a big difference to your life. Just use our handy calculator on the left of the screen to work out how much money you could save by switching to iCIG. Simply enter the number of cigarettes you usually smoke per day, and the calculator will tell you how much money you could save every year by switching to iCIG electronic cigarettes. It could be a lot more than you think! There are plenty of benefits to choosing iCIG electronic cigarettes, and saving money is a great one. If that’s not enough to convince you, have a look around at our site and at the other entries int his blog to find out more. Electronic cigarettes are better for your health, as well as the health of those around you, and are better for the environment. Check out the rest of the site and you’re sure to switch! Are Electronic Cigarettes Really Healthier Than Normal Ones? If you’re trying to cut back on how many traditional cigarettes you smoke, or trying to lead a healthier lifestyle, you may have heard that electronic cigarettes are a good alternative – and they are! iCIG electronic cigarettes are much better for you than traditional ones. But why? Traditional cigarettes are full of chemicals that are very damaging to your body. 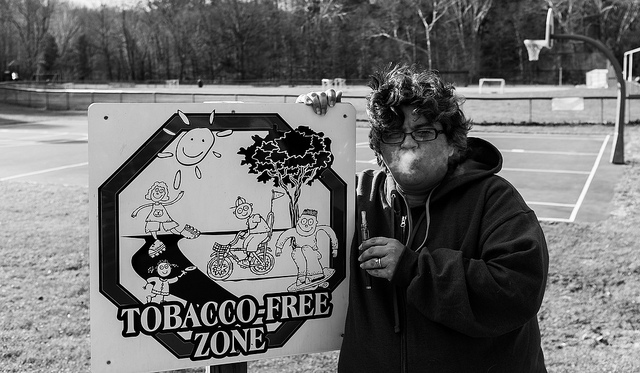 They fill your lungs with tar and carbon monoxide (both of which are poisonous) as well as nicotine. This means that you are getting a lot of really unhealthy chemicals at the same time as the satisfying nicotine that your body craves. With iCIG electronic cigarettes, you only get that satisfying nicotine! And even better, it isn’t real smoke that you are breathing in, but a nicotine vapour created by the electronic cigarette – so it is much better for your lungs. Traditional cigarettes can cause a wide range of very serious illnesses, especially if you smoke of lot of them per day over a long period of time. Luckily iCIG electronic cigarettes are much better for you and won’t make you ill – so you can satisfy your cravings for smoking without worrying about your health or that of those around you. Isn’t it time you made the switch?